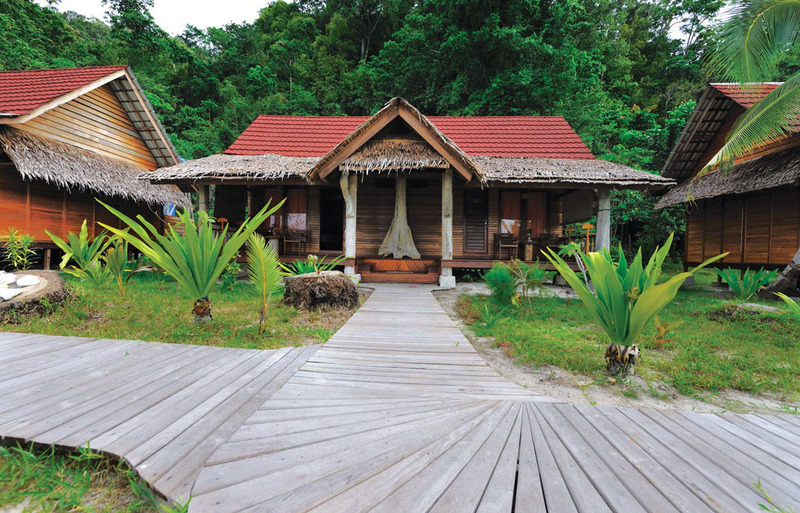 Fronted by the white sand Yenpapir Beach on Mansuar Island and backed by the ever-verdant Papuan rainforest, the Raja Ampat Dive Lodge is surrounded by natural beauty. 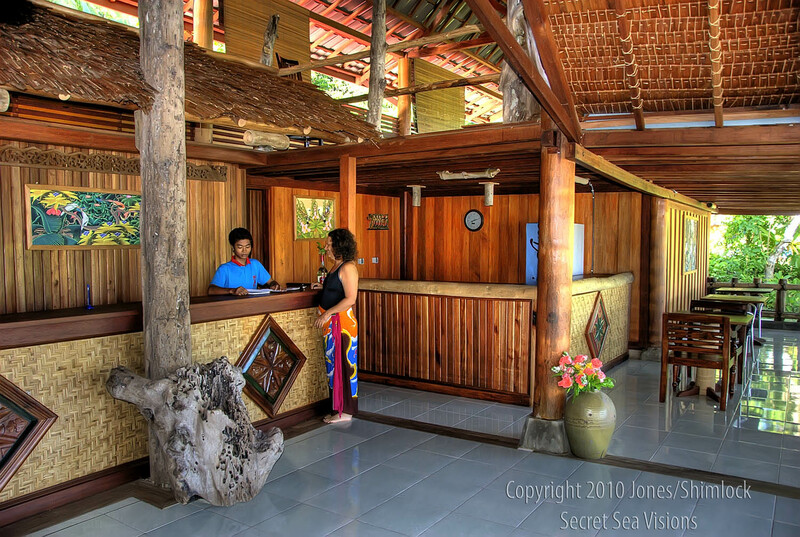 Sit on your veranda and listen to the early morning sounds of the jungle as you prepare for another day of spectacular diving accompanied by our knowledgeable dive guides. 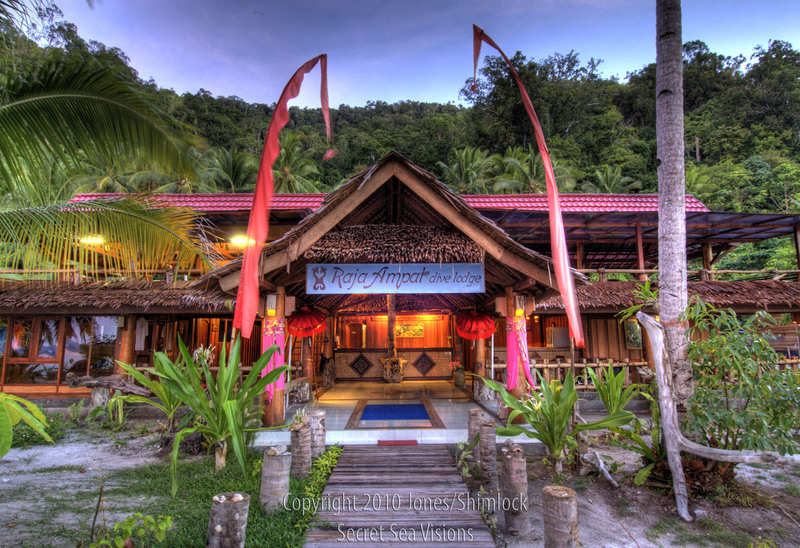 In between dives you will feast on serve delicious, healthy meals utilizing the freshest local ingredients. 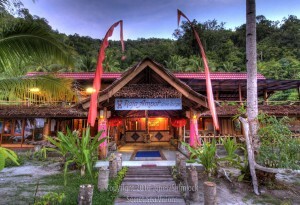 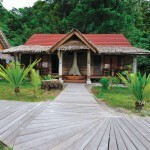 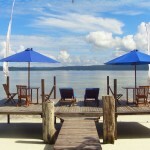 The staff of Raja Ampat Dive Lodge has been handpicked to provide an excellent level of service. 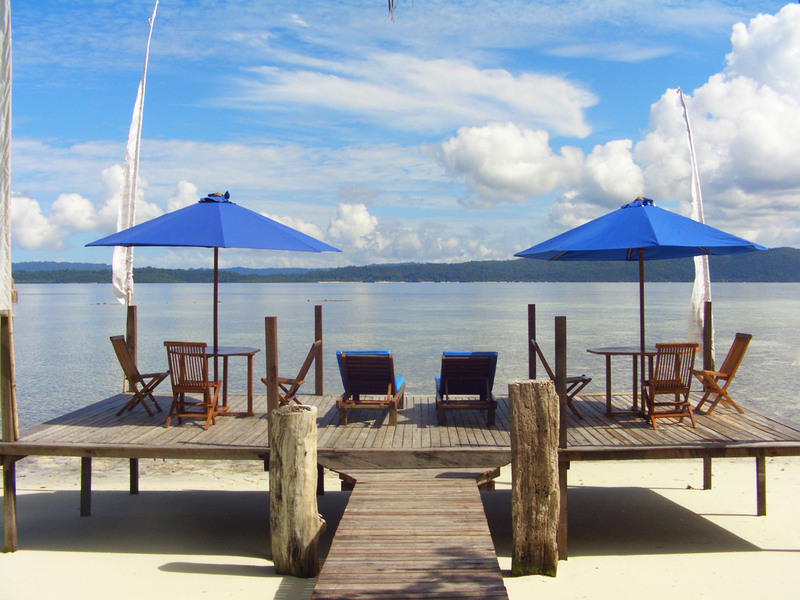 This resort strives to offer their guests the best value in a diving holiday while ensuring that everyone who stays with them feels like part of their family. 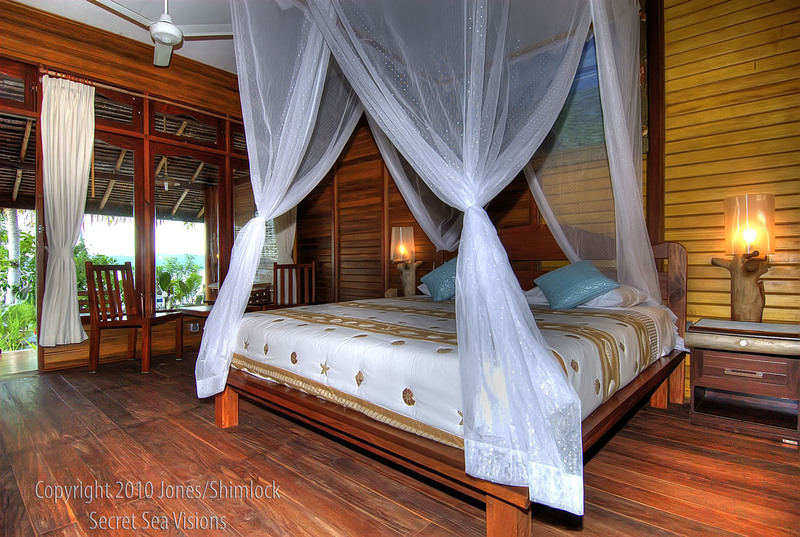 The 6 duplex rooms at the Dive Lodge are comfortable en-suites furnished with either double or twin beds, tiled bathrooms and wooden interiors cooled by individual air conditioning units.